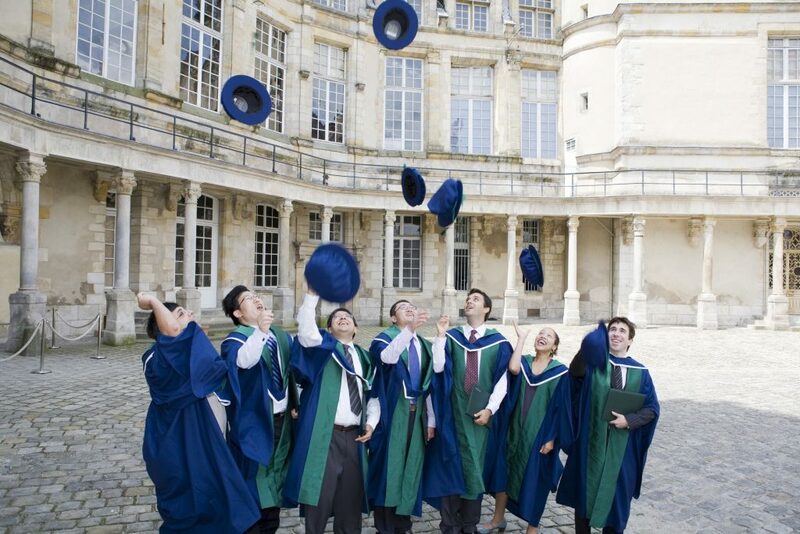 INSEAD’s PhD programme in Management is ranked as one of the best in the world. That’s quite an achievement for the programme which will celebrate its 30th anniversary in 2019. Nearly 30 years ago, Gabriel Szulanski was trying to make up his mind which PhD programme to enter. With a bachelor’s degree in computer science and an MBA with a specialisation in strategic information systems from Tel Aviv University, he was a highly sought-after candidate. “I was accepted by very good schools in the US like UCLA and UC Berkeley because I was looking for something very specific, the strategic uses of information technology,” says Gabriel, now a Professor of Strategy at INSEAD’s campus in Singapore. After visiting the schools that had accepted him, a friend told Gabriel about INSEAD’s newly created programme. He applied and was accepted. “It was the first year of the programme so there was no track record or curriculum that you could inspect,” he says. Instead, he was invited to the campus where he was impressed by the faculty he met. But the clincher in making his decision was the individual attention he would get at INSEAD. “We would have close attention from faculty as they were developing the programme, whereas in other schools with established programmes it would be more difficult to get their attention,” recalls Gabriel, who earned his PhD in Strategy from INSEAD in 1995. Usually, INSEAD PhD graduates go to other top schools and INSEAD hires from them to encourage a healthy circulation of ideas. It is extremely rare for INSEAD to hire its own PhD alumni back, but it does make the rare exception. “Gabriel is an instance of such an exceptional individual,” says Phanish Puranam, Academic Director of the PhD programme, Professor of Strategy at the campus in Singapore and the Roland Berger Chaired Professor of Strategy and Organisation Design. Phanish explains that Gabriel was hired by Wharton after he graduated and came back to INSEAD after teaching there as a professor for many years. Today, INSEAD’s PhD programme is consistently ranked among the Top 5 based on the number of graduates who get faculty postings. This has also contributed to INSEAD’s top position in MBA rankings such as the Financial Times which weigh doctoral programme and research as part of their evaluation. The programme graduates eight to 12 students a year, of which more than 80 per cent go into academia, the remaining get non-academic jobs, mostly in fields such as consulting and finance. “It’s clear that we are among the most highly successful schools in terms of placement,” Phanish says, adding that INSEAD’s ranking is unique considering it doesn’t have a major university behind it. Belonging to a large university gives other PhD programmes two big advantages — access to the deep resources of the university’s endowment and to courses from the entire university, not just the business school. “We don’t have either,” says Phanish, who before coming to INSEAD nearly five years ago, was head of the PhD programme at London Business School. He points out that INSEAD makes up the difference by being innovative in the way courses are delivered. Many courses cut across specialisations which gives students a deeper understanding of each other’s subjects. INSEAD also invites guest faculty from outside the school to come and teach, and is a pioneer in using online content and delivery as part of its doctoral training. “These innovations have helped us overcome the fact that we don’t have a big university behind us,” says Phanish. INSEAD created the PhD programme in 1989 as it realised it couldn’t be a leader in education if it wasn’t also producing research. 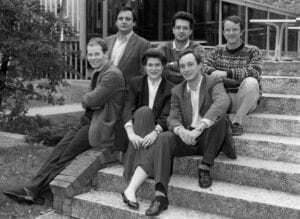 The first PhD cohort: Harry Korine (bottom left) is an Adjunct Professor of Strategy at INSEAD. Dana Hyde (bottom middle) is a Professor at the Telfer School of Management at the University of Ottawa. Joao Amaro de Matos (bottom right) is Associate Dean for Institutional Relations at Nova School of Business and Economics (Portugal). Gabriel Szulanski (top left) is Professor of Strategy at INSEAD. Carlos Cordon (top middle) is Lego Professor of Strategy and Supply Chain Management at IMD. Benoit Leleux (top right) is Stephan Schmidheiny Professor of Entrepreneurship and Finance at IMD. The first cohort in the programme was a diverse group of six students from six nationalities including Swiss/American, Portuguese, Spanish, Belgian, Canadian and Israeli. By comparison, the latest intake in September 2016 includes 16 students with nine nationalities from Canada, China, Colombia, Italy, Germany, France, Korea, the Russian Federation, and the US. Fifty per cent of the students are women. A total of 82 students are now in the programme on both the Fontainebleau and Singapore campuses. Most graduates go on to academic posts, such as Julie Battilana, now a professor of business administration at Harvard Business School. Julie received a joint PhD in organisational behaviour from INSEAD and in economics and management from Ecole Normale Supérieure de Cachan, France, in 2006. She says what impressed her most during her studies at INSEAD were the quality of the faculty research and the diversity of the intellectual community. The programme’s primary source of funding is the school. Students pay no tuition and receive a stipend to cover living expenses. The total cost per student over the five years is about €350,000. Phanish lists several improvements he would like to make if additional resources were available. Additional funding also would allow the programme to offer more in-house coursework and research. Since it is not part of a university system, the programme depends largely on investment by the school. Still there are advantages to not being part of a university system. Without bureaucratic hurdles, it can be fast at experimenting. “One of the changes we are experimenting with is creating specialisation tracks that cut across the different departments,” reveals Phanish. This would allow students studying to get a PhD in finance, for example, to also specialise in economics to get more depth. The programme is also starting to emphasise skills in computer science applications, like machine learning and computational modelling, across subject areas. “Promoting early adoption of these advanced techniques is something we can do fast and students can end up having an advantage by doing so,” says Phanish. It’s early still but plans to celebrate the 30th anniversary of the programme are already being developed. Also under consideration is linking the PhD programme’s celebratory events with those of the school itself which will soon celebrate its 60th anniversary. Whatever the final plans turn out to be, it will be worth celebrating the success of the PhD programme in its ranking as one of the world’s best. For more information about the upcoming reunion or about contributing financially to the programme, please contact Alina Jacquet. Summer is officially here and there’s no time like now to put your feet up, grab a cold drink and pick up a good book to read.